Do your clients want to become more creative? Creativity comes from within - we all have the potential but some people don't have the confidence in their own ability to become more creative. 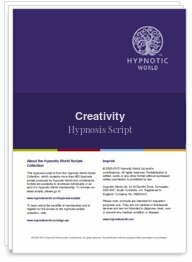 This Creativity script download from Hypnotic World can help you to help your clients to access their creative resource center.